Great experience! Would def come back here. Loved the airstream! 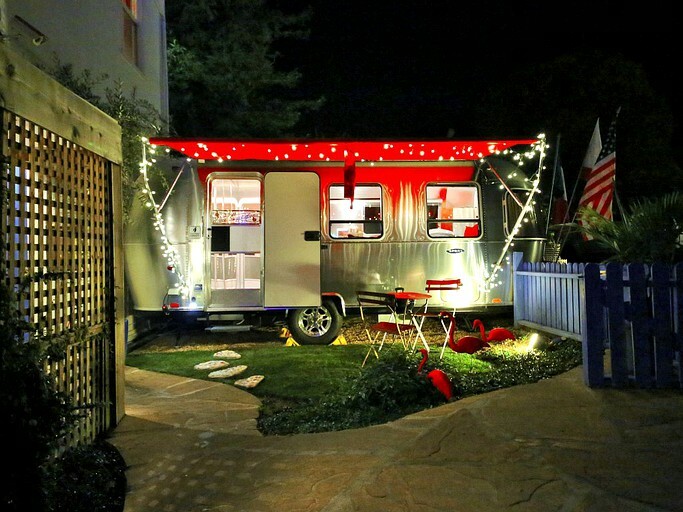 This glamping site near downtown Petaluma, California, has two different Airstreams available for guests to use. 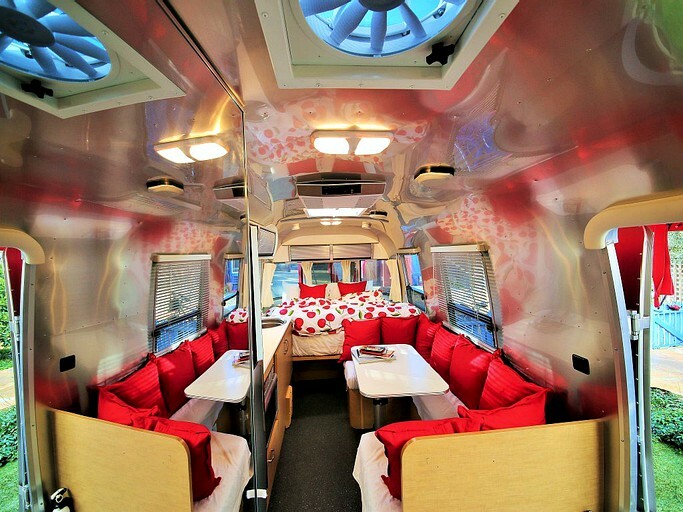 Each Airstream is unique with its own personality and flavor. But rest assured—each glamping site provide an atmosphere of total comfort. Enjoy complimentary organic coffee and pastries from the Metro Hotel and Café, or stroll through downtown to find some delicious local restaurants. 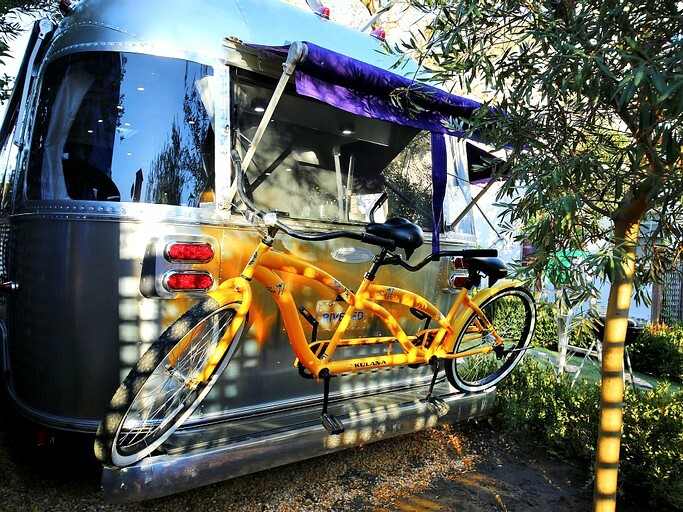 The first accommodation is called the Bambi Travel Trailer. 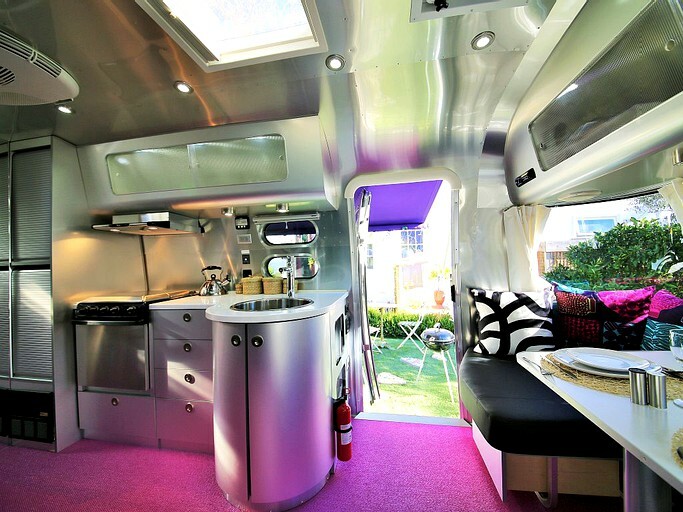 This brand new, shiny, 22-foot Airstream can accommodate two glampers, who must be over 21 years old, with no children. 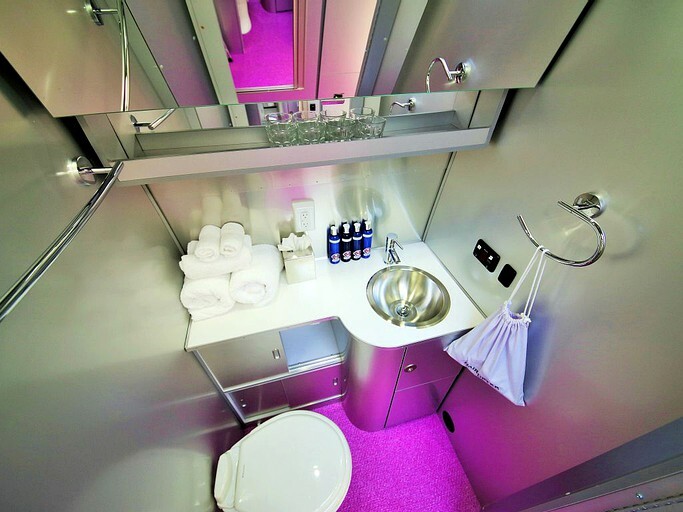 It has all the same amenities that travelers have in their own homes. 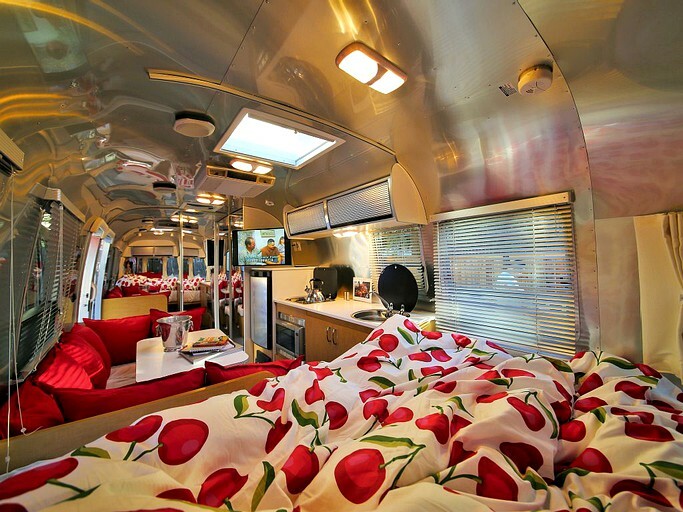 The Airstream features a king-size bed with a memory foam mattress. 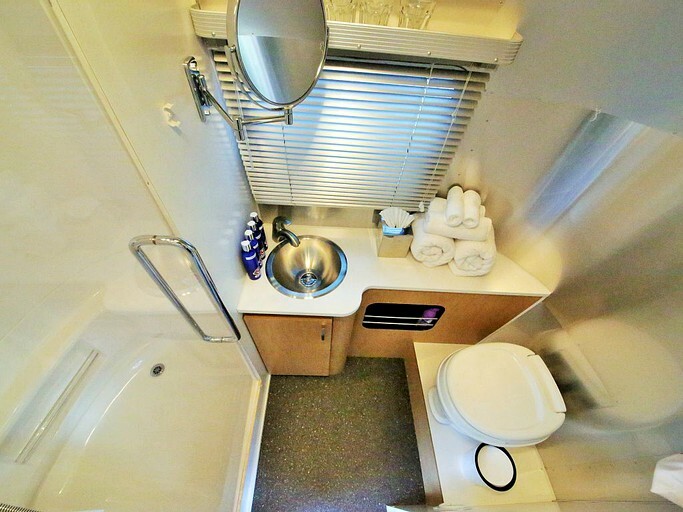 The site also has a full bathroom with a rain shower, hair dryer, and an iron. The kitchen is fully equipped with all the necessary appliances and tools. If you just want to relax inside there’s also a large, high definition, flat-screen television. 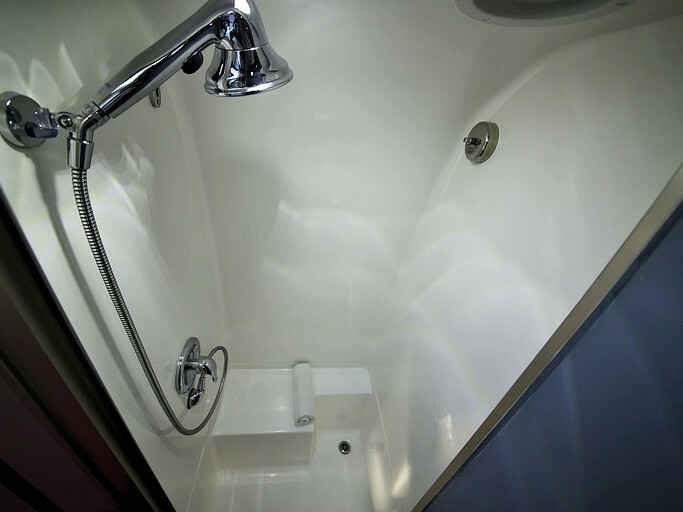 The unit has heating and air conditioning, so you’ll always be comfortable no matter the weather. Maid service is provided, including linens and towels. 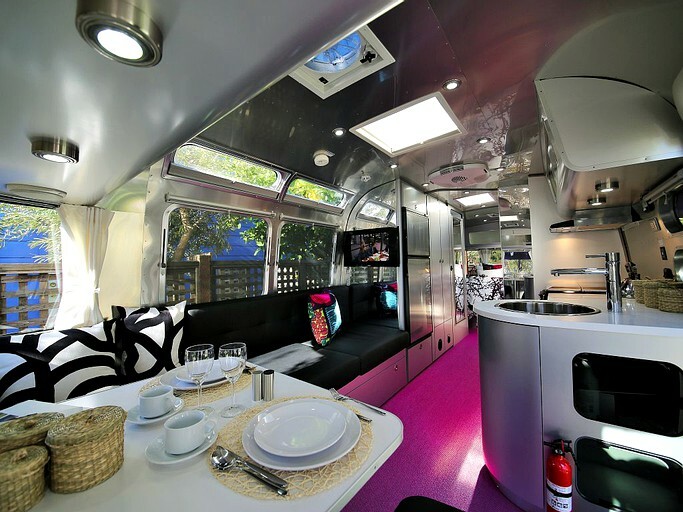 The luxury Airstreams have maid service, which includes linens and towels, as well as complimentary organic coffee and pastries from the Metro Hotel Café. Guests can enjoy a stroll in the landscape garden. Guests can arrange access to a kitchen/grill, if need be, as well as a business center and guided tours. These sleek campervans are located right in the center of Sonoma County, which means guests will never be very far from their next adventure. Guests can go hiking or biking through the trails by the Russian River, go trek through the ancient redwood forests, or head to the hot springs of Agua Caliente. If water activities are more your style, you can drive to the beach and soak up the sun along the California coast. Both Sonoma Valley and the nearby Napa Valley have incredible wineries for you to tour and taste some of the area’s famous wine. Guided tours are available upon request. History buffs will love exploring the old Spanish Missions and the settlements of both Native Americans and the other early settlers. 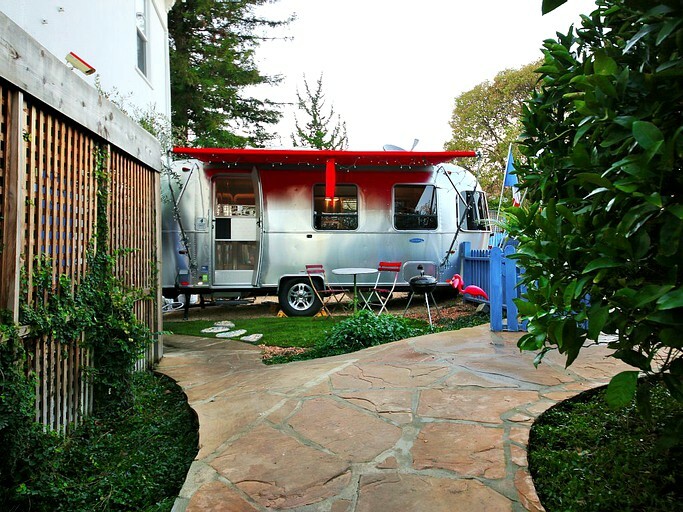 The activity options are endless but two things are certain: you’ll never be bored in Sonoma and you’re going to love returning home to your luxurious airstream every night. 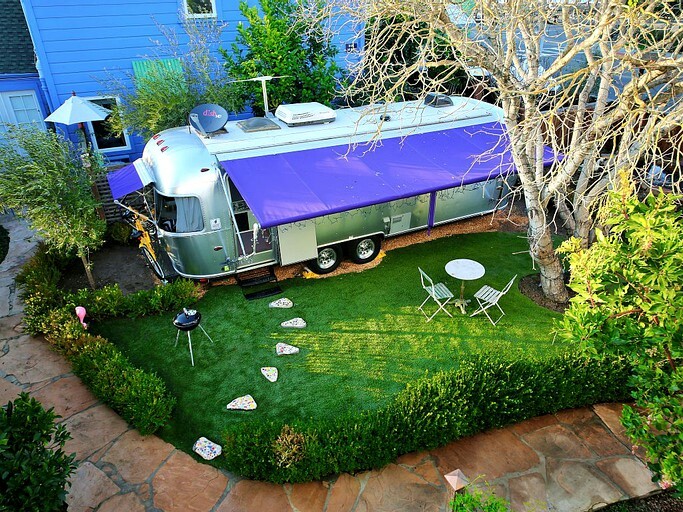 There is a minimum night stay of two nights on the weekends in these Airstreams. There is a housekeeper included. 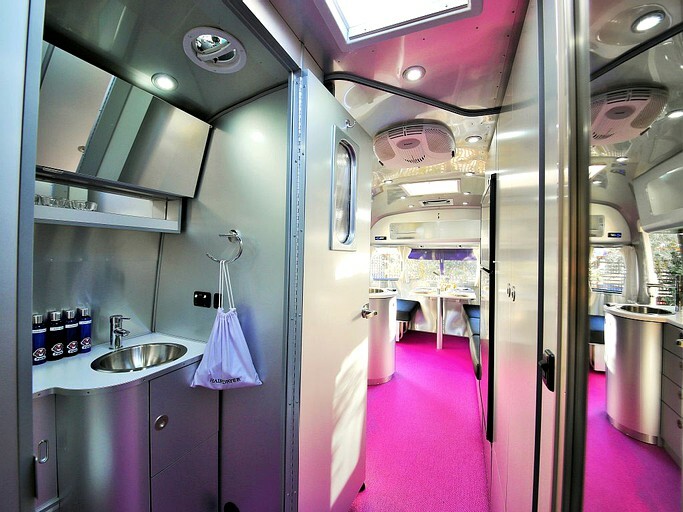 The Airstreams are non-smoking, and they are not pet-friendly. They are also not suitable for children.